Although these words were written with respect to church order, they express a general principle. “This wisdom descendeth not from above, but is earthly, sensual, devilish. For where envying and strife is, there is confusion and every evil work. But the wisdom that is from above is first pure, then peaceable, gentle, and easy to be intreated. . . . And the fruit of righteousness is sown in peace of them that make peace” (James 3:15-18). Our world and our natural lives seem perpetually in confusion, turmoil, and strife, and the source is the evil one—“the god of this world” (2 Corinthians 4:4). The only one who can bring true peace is the Author of peace. This is none other than the Lord Jesus Christ, for only “he is our peace” (Ephesians 2:14). He is the Author of peace, just as the devil is the author of all confusion and strife. Note the other titles of our great Author of peace. 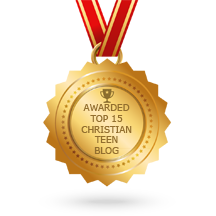 This entry was posted in A CLICK A BLESSING TODAY, CHRISTIAN NUGGETS and tagged author of peace. Bookmark the permalink.